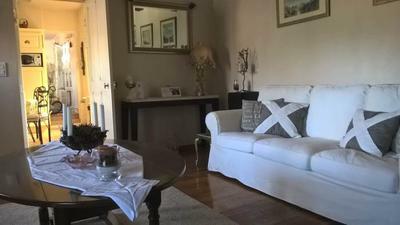 Private house with 4 bedrooms originating 1899, in wine growers village, with independent B&B complex with 2 en suite bedrooms and reception area. 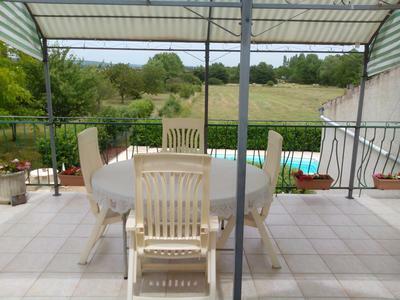 Pool and marvelous fruit tree garden and views. Just 5 minutes from Meursault, and 10 minutes from Beaune. 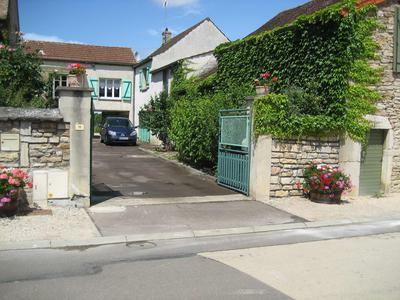 Looking at the house from the street is deceiving as there is so much behind those green doors : a private home for a large family, a B&B business, several storage rooms on ground level, 2000 meters of fruit tree garden and a swimming pool. The B&B business is doing very well, small enough to manage on the side, as just two bedrooms that can be communicated. The independent reception room is used as a common room, and breakfast area, ideal as this keeps business and private separate. Each bedroom today has its own terrace and view of the garden and the pool. This side of the building has been built new, with highest insulation materials. It is heated from the mains gas boiler that also serves the main house. If you wish two more bedrooms can be used in the house as they have their en suite bathroom. The main house is raised above the cellars and work shop. Here you find a large well equipped kitchen, a cosy salon with parquet floor and efficient wood burner. From the salon oak stairs lead to the bedroom with its own shower . This bedroom is large at 16m2 with more room under the eaves, Although it has no door, it feels private. Next to the kitchen, the dining area and then a second living room. From this second living room there is access to the terrace and magnificent views. Two bedrooms share one shower and toilet in the hall way. The master bedroom has its own shower/toilet, and large dressing room. Ask for more information and bedroom sizes. On the ground floor, garage, work shop with boiler room, wine cellar and other storage areas.